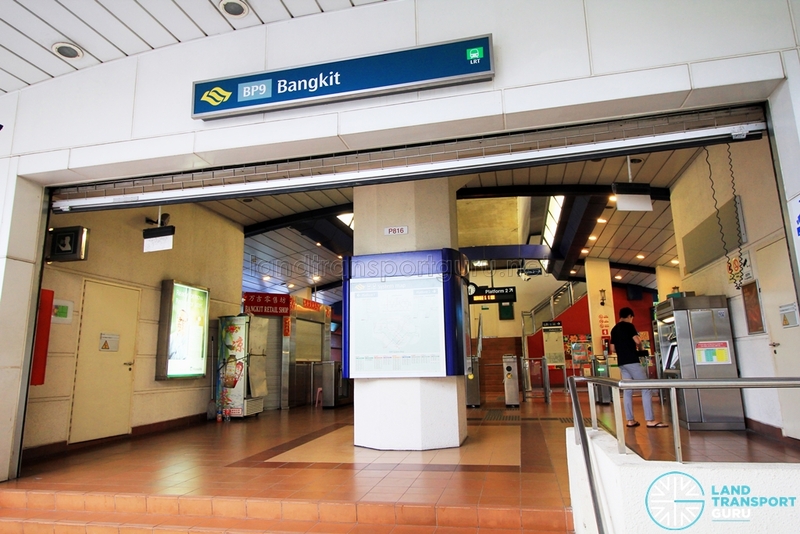 Bangkit LRT Station (BP9) is a light rail station along the Bukit Panjang LRT (BPLRT). 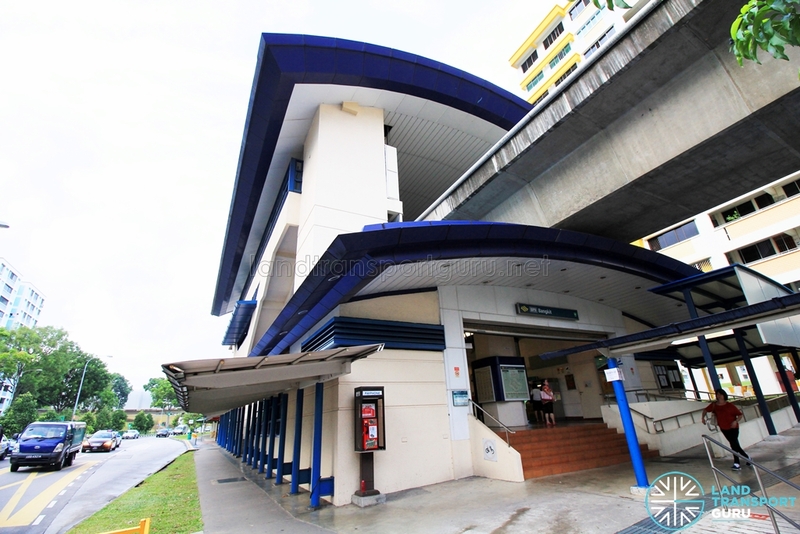 Located within the Bukit Panjang estate, the station is overground and located near the junction of Bukit Panjang Ring Road and Bangkit Road. 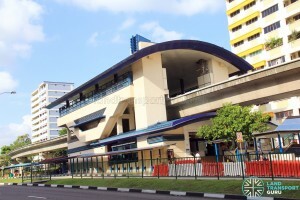 Named after the adjacent Bangkit Road, which means “rise” in Malay, the station largely serves schools and HDB residential estates in the vicinity. 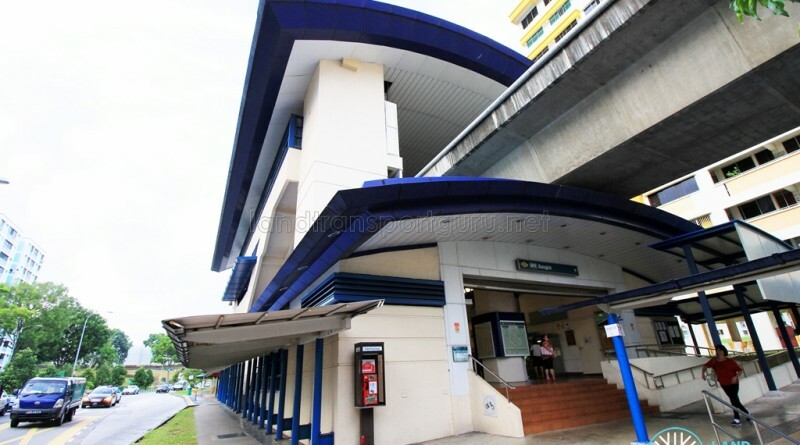 Operating hours for Bukit Panjang LRT from 13 January 2019 was revised to close earlier daily to facilitate maintenance works. 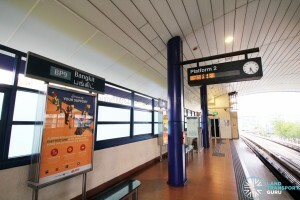 The Bukit Panjang LRT station is overground with two side platforms, used for trains travelling in either direction. Passenger Information Systems, which are LED displays located at each platform, display expected train arrival times and scrolls through messages, while an analog clock gives the time. Tactile flooring helps to guide the visually-handicapped from the platform to the station exits. Staircases and lifts connect both platforms to the ticket concourse, which leads to street level. Fixed platform barriers (without platform doors) are installed at the platform edge for commuters’ safety, and ceiling fans at the platform keep passengers cool. 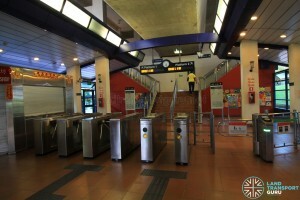 The station concourse feature faregates for automatic fare collection and provides access between paid and unpaid areas of the station, with at least one bidirectional wide-swinging gate for the benefit of passengers-in-wheelchairs and those carrying bulky items or travelling with prams. A General Ticketing Machine at the concourses allow commuters to purchase tickets for single or multiple journeys, and perform contactless card transactions. As with other BPLRT stations, the concourse only has one ticketing machine serving both paid and unpaid areas, with a swing gate that allows either side to access the machine at any one time. Since the station is not staffed, an intercom system near the faregates allows commuters to speak with BPLRT Operations Control Centre for assistance. 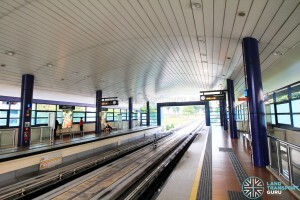 Bangkit LRT station has a single exit at street level. Barrier-free accessibility is offered via wheelchair ramps. 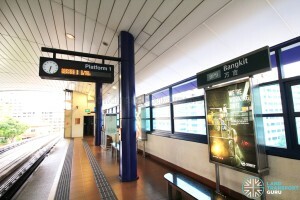 Bangkit station connects to two bus stops in the vicinity. 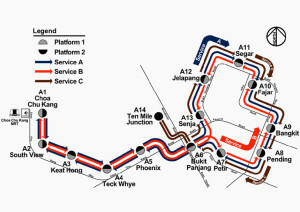 Bus stops near LRT stations are not numbered.